FINALLY. That’s what it feels like when you finally get to see the big dude! Gotta say that this was a movie I was really excited about. I watched the trailers, and I was like hell yeah, bring Godzilla back to us! I mean really, that was awesome. Then the film came and I was in the middle of exams and could only pick one film to watch in between it all, so obviously X-Men: Days of Future Past won out, that I was way more amped for. Anyway, the reviews started coming back and they were looking a little disappointing, but I wanted to watch it anyway. I read recently that a sequel has been okayed, and was like damn, I might have to get to this one. Eventually I did. To give you an example of what happened: I spent the next two hours continually waking my other half up, who was peeved that the movie was such a disappointment, and I lamented that for a movie called Godzilla, there was awful little of the Big G in it… well, at least Andrew of Cultured Left Peg entertained me endlessly. I am so glad that I did not waste study time and my hard earned money on this crap. The human component of this film was excruciatingly boring. I cannot believe the trailers marketed this movie with a lot of Bryan Cranston, so here I got all excited about that. Guess what? They ripped that joy away from me within the first thirty minutes, too. Now there was an hour and a half left to watch no Godzilla and the terribly wooden Aaron Taylor-Johnson (who, by the way, isn’t even hot in my opinion, either, so I lost on all fronts). Also, whenever he was with Elizabeth Olsen, there was no chemistry there either. Ken Watanabe, another big name draw, was also barely around. I just want to express my irritation with that. I hated how whenever Godzilla came across those mutos, we saw nothing, just some news snippets after the fact. Goddammit people, I came here for the Big G! I must confess that I thought Godzilla was really well done (on the rare occasions you did get to see him). He was massive, he looked amazing, he moved extremely well, the water shots were brilliant… but that is all I can say for it really. This entry was posted in Movies and tagged big cast no action, Bryan Cranston, disappointing, Godzilla, Ken Watanabe, movie reviews, movies, No Big G, waste of life. Bookmark the permalink. Nice review Zoe. I really enjoyed this one. I agree with you that the human story lines were very weak but I thought the action was very well accomplished and suspenseful. I am glad to hear that you enjoyed it. I just felt that it was really disappointing. I wanted more Godzilla. Way more Godzilla. I expected there were more scenes of Godzilla, or at least this big epic fight between the monsters! It really was focused on the people, but I still enjoyed it. Good review! That was my issue. This should have said it FEATURED Godzilla. This might have been fine for a prequel or something. Meh. Hopefully the sequel brings more, though this movie did nothing to make me hope for bigger, better things! That sounds EXACTLY like why I’ve never been interested in this, aside from the fact that I’m not a big fan of Godzilla. Sounds like I’ve made the right call. Meh, what a crappy film. What a wasted afternoon spent on this. Oh well. It happens. Why are so many movies like that?! Sorry to hear you didn’t enjoy this one. It’s one of those movies that even though I loved it, I can totally understand why someone wouldn’t like it. The slow-burn approach really worked for me and I dug all the teasing throughout the film. I am glad to hear that you had a good time with this one, I was just really let down. But who, Godzilla looked amazing when he was on screen!! That was without a doubt the best part of the movie. It LOOKED amazing. I enjoyed it more than yourself but the characterisation was pretty plodding. Nice work Zoe. Thanks Mark. I really expected something more than this, this was a movie I was looking forward to. I’ve been a fan of Godzilla since the 70’s and loved this film. I think the amount that Big G was in it fit with the storyline and worked well in the end. Gareth Edward’s Monsters from 2010 went by a similar pattern of following the people’s reactions to the monsters more than just the monsters and that was a fine film as well. If you want more monsters and beasties then maybe the sequel will deliver more. I do enjoy Godzilla, quite a bunch. Truly hoping to see more Godzilla in the sequel. I think this was just all the more disappointing for me because the whole human aspect we were subjected to was really weak (in my opinion) as well, not gripping enough to make up for the lack of the monsters. 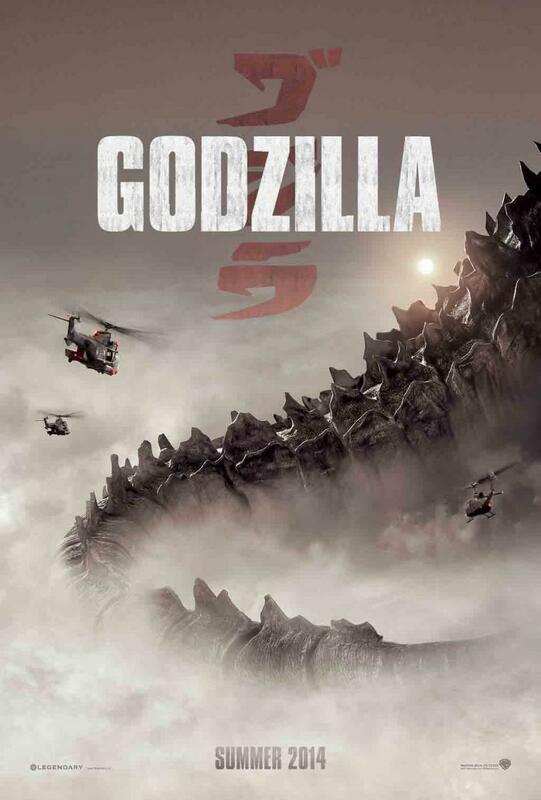 I know a lot of peeps had a problem with this movie because it didn’t show Godzilla right away, or spent too much time on the characters, but honestly, I really liked it for that reason. It made the trip all the more tense to be apart of. Good review Zoe. Thanks Dan! If the human element had been written a little more strongly I might not have been so disappointed! I actually quite liked its and I usually dislike these kind of movies (Pacific Rim for example). I thought it was better that GodIlla wasn’t on screen all the time, made him more spectacular when he was. Pacific Rim really sucked! I must say, minimise him on screen if you must to create a bigger impact, but they can’t get away with having him on next to never! Lol I didn’t, but I Googled it and had a good laugh over that! HAHAHA! Thanks lady. Pffffff, what a kick in the teeth that was. I don’t think anyone is going to let you live it down that you trashed it then gave it a relatively high rating (a 7, if I recall). Glad to hear you adjusted it. I just thought this was exceptionally boring. My other half could barely keep his eyes open, and kept moving just to stay awake. Nice review! I took my brother and sister to see this and I think because I wasn’t expecting TOO much I ended up enjoying it. It was a good homage to the old movies. Thanks! I was expecting way more Godzilla. No such luck! YOU KNOW?! I was like what false advertising and stuff! I couldn’t believe it!!! It was done in such a low key way as well, no big goodbyes or shock exits, just a ‘shouldn’t we tell him his dad is dead?’ *body bag wheels by* audience – cannot believe it!!! I know what you mean and some bits seemed totally pointless like the bit in Vegas?! P.S the son just ‘joining’ the best of the best military was stupid too. Yeah it was just so rushed! Pffff, wasn’t a happy camper! Like he’s just suddenly connected everywhere. Thanks lady. Nope, I didn’t like this, not one little bit. My other half kept falling asleep and jerking awake to try and catch it all. He was more peeved than I was, and he doesn’t usually get that involved with films. X-Men all the way. Well, considering I was not a fan of the first Avengers, I am hoping that this one is better, though I don’t really have hope for him as Quicksilver. Yes. There. I said it. I think in the end, Evan Peters will def win at Quicksilver. Joss Whedon can only do so much magic. Hahaha. I forgot you didn’t like Avengers though! Here’s hoping the next one changes your mind!